Walking meditation isn’t the meditation associated with solitude and physical inactivity. When most people think of meditation, they usually come up with a scenario in which a person finds a secluded area, closes his eyes in silence, and rests his body while working his mind out. Does meditation always have to be like this? One interesting form of meditation that deviates from the old and traditional concept is walking meditation. Walking meditation is a lot different from other forms of meditation known to many. For one, you will not have to be physically inactive to do it. In fact, you need to move and be active, and you need to walk! You have to actively engage your mind and your body in this activity in order to experience a holistic positive result. This brings another benefit. 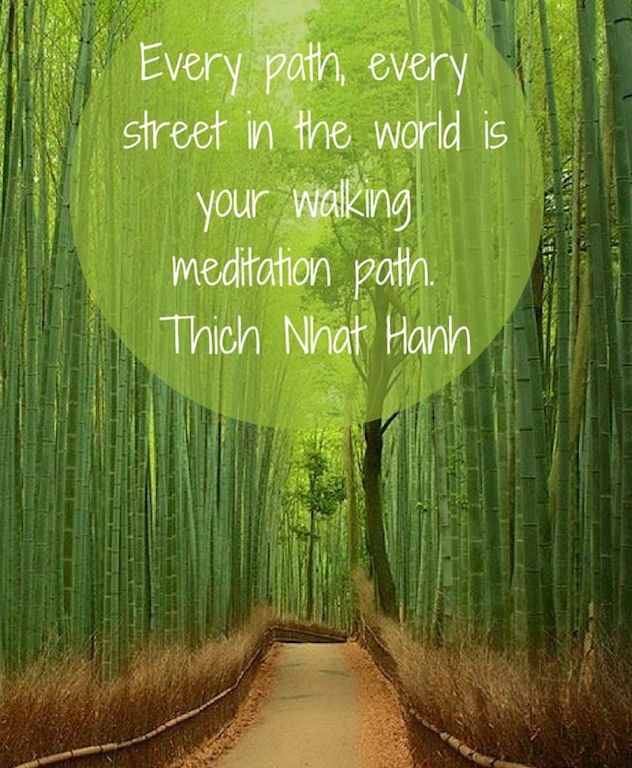 Since walking is a daily activity, you can actually meditate every day! You also will not have to find a secluded place just so you can meditate. Anywhere will do. Actually, a noisy and crowded place is even encouraged. Here is where the challenge lies. Concentration is important and awareness must be focused. You must not allow the outer world to bind your mind. You may be aware of your surroundings, but do not cling to anything. 1. Find a location. Find a lane that allows you to walk back and forth for 10-15 paces—a place that is relatively peaceful, where you won’t be disturbed or even observed (since a slow, formal walking meditation can look strange to people who are unfamiliar with it). You can practice walking meditation either indoors or outside in nature. The lane doesn’t have to be very long since the goal is not to reach a specific destination, just to practice a very intentional form of walking where you’re mostly retracing your steps. 2. Start your steps. Walk 10-15 steps along the lane you’ve chosen, and then pause and breathe for as long as you like. When you’re ready, turn and walk back in the opposite direction to the other end of the lane, where you can pause and breathe again. Then, when you’re ready, turn once more and continue with the walk. 5. Speed. You can walk at any speed, but in Kabat-Zinn’s Mindfulness Based Stress Reduction (MBSR) program, walking meditation is slow and involves taking small steps. Most important is that it feel natural, not exaggerated or stylized. 6. Hands and arms. You can clasp your hands behind your back or in front of you, or you can just let them hang at your side—whatever feels most comfortable and natural. 7. Focusing your attention. As you walk, try to focus your attention on one or more sensations that you would normally take for granted, such as your breath coming in and out of your body; the movement of your feet and legs, or their contact with the ground or floor; your head balanced on your neck and shoulders; sounds nearby or those caused by the movement of your body; or whatever your eyes take in as they focus on the world in front of you. 8. 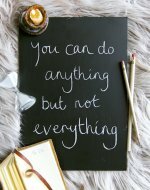 What to do when your mind wanders. No matter how much you try to fix your attention on any of these sensations, your mind will inevitably wander. That’s OK—it’s perfectly natural. When you notice your mind wandering, simply try again to focus it one of those sensations. The guiding principle behind meditating while walking is achieving a balanced awareness, equilibrium, between your inner self and the outer world surrounding you. This meditation will invite you to feel your entire body, all the workings of the parts that make you up, being aware how each of your body parts operates. While doing this, you also have to notice your emotions and your mood. These are all done while you walk. The outside world need not be lost in your focus. There will always be stuff that will catch your attention as you meditate, and you are not to resist. You are not to hang on to these, though. You have to let them pass by, observing them without doing anything at all. This is the real sense of awareness. The ideal result of meditation while walking is the person's consciousness of the outside world while being completely aware of his inner self. When this is achieved, many of the puzzles and complexities of life will become clearer and simpler. By bridging the gap between what is within and what is out of yourself, you can take full control of your life and enjoy a healthier and a more satisfied lifestyle. Walking meditation allows you to put some space between you (your true self) and all the distractions of whatever’s happening around you and the in chatter of your mind. For many people, slow, formal walking meditation is an acquired taste. But the more you practice, even for short periods of time, the more it is likely to grow on you. Keep in mind that you can also bring mindfulness to walking at any speed in your everyday life, and even to running, though of course the pace of your steps and breath will change. In fact, over time, you can try to bring the same degree of awareness to any everyday activity, experiencing the sense of presence that is available to us at every moment.